Note! 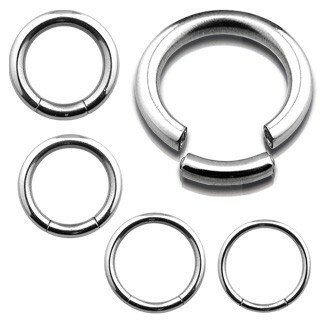 For segmentrings you will need special forceps to open and close the ring. You can find this at the related products section. Beautifull smooth segment ring made from 316L surgical steel. For that classic steel look. Similar to the ball closure ring, a segmentring needs to be opened and closed with the help of special forceps in order to place the ring.